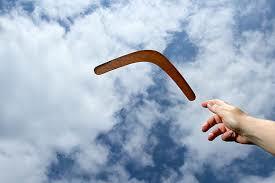 Boomerang PRAYERS will CHANGE your LIFE! This is when I pick a group of people who are bound up with darkness by Satan. I will then spend the day warfaring for these people. It weakens Satan’s kingdom tremendously and pulls down the darkness surrounding these people. So you see Satan and his demons come at me one way but through boomerang prayers we come at him 100. Shortly Satan ALWAYS stops the attacks. It costs him too much. It is very powerful. Below is a list of some of the people I pray for on my boomerang list. Are you being demonically attacked in your dreams? in your finances? in your relationships? in your marriage? with your children? Begin praying boomerang prayers each and every time the attacks come and find a new level of victory and spiritual warfare. CATHOLIC PRAYERS WHEN SATAN ATTACKS YOUR HOME, HOW TO FIGHT SATANISTS, HOW TO FIGHT VICTORY WHEN YOUR FAMILY IS UNDER ATTACK, HOW TO FIND POWER WHEN SATAN ATTACKS, HOW TO FIND VICTORY WHEN YOUR FINANCES ARE UNDER ATTACK, how to overcome satanists, HOW TO PRAY FOR CARRIER MOMS OF SATANISTS, HOW TO PRAY WHEN DEMONS ATTACK AT NIGHT, HOW TO PRAY WHEN YOU ARE UNDER SPIRITUAL WARFARE, HOW TO PRAY WHEN YOU HAVE NIGHT TERRORS, HOW TO PRAY WHEN YOUR MARRIAGE IS UNDER ATTACK, THE POWER OF BOOMERANG PRAYERS, WHAT IS BOOMERANG PRAYER? ← Join Me on a 40 day NO NAGGING Fast! I will pray this for the people the Lord brings to mind & my way. Thank you for the work you do. It’s a blessing. Just to encourage you too the – The Lords banner over you and your family is love. S of S 2v4 (For love waved as a protecting and comforting banner over my head when I was near him) Amp (1987). I am only sending this again because I did not check notify me of new post below. Thank you for this Jackie it’s right on time. I was just thinking of someone who is transexual/gender and praying for them. Do you have an outline of what you say in your prayers. Jean, pray God sets them free and their eyes are open to the Risen Christ. Thank you Melinda! I sure do appreciate the kind words of encouragement! Sometimes I wonder “Is anybody reading this stuff?” blessings to you beloved.